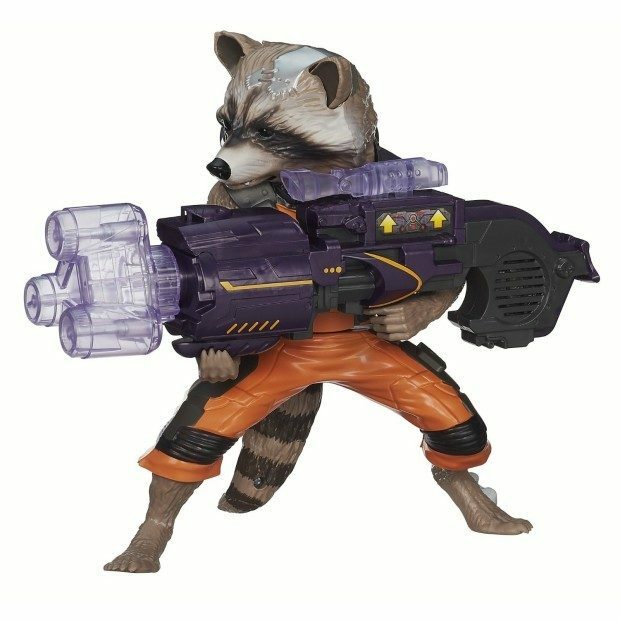 Marvel Guardians of The Galaxy Big Blastin' Rocket Raccoon Figure Only $11.44! You are here: Home / Great Deals / Amazon Deals / Marvel Guardians of The Galaxy Big Blastin’ Rocket Raccoon Figure Only $11.44! Marvel Guardians of The Galaxy Big Blastin’ Rocket Raccoon Figure Only $11.44! This is the toughest raccoon I have ever seen! Order the Marvel Guardians of The Galaxy Big Blastin’ Rocket Raccoon Figure for Only $11.44! Over 60% Off! Rocket Raccoon is a born leader. Well, more like a genetically modified space menace who takes charge when Star-Lord isn’t around. Big Blastin’ Rocket Raccoon is ready to take command with multiple battle sounds and phrases! What do a wandering outlaw, a blaster-toting raccoon, a humanoid tree, a green-skinned female assassin, and a vengeance-seeking superhuman warrior have in common? Not much. Except that the fate of the galaxy rests in their hands… and paws… and, um, branches.